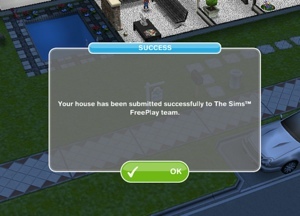 Once you complete the extreme home takeover quest you will be able to submit your house to the sims freeplay for a chance for all other players to be able to build it! This post will explain how to submit a house. And that is it! All you can do now is wait and see if your house has been chosen! Can you submit a penthouse? Yes you will find the sign near the elevator! 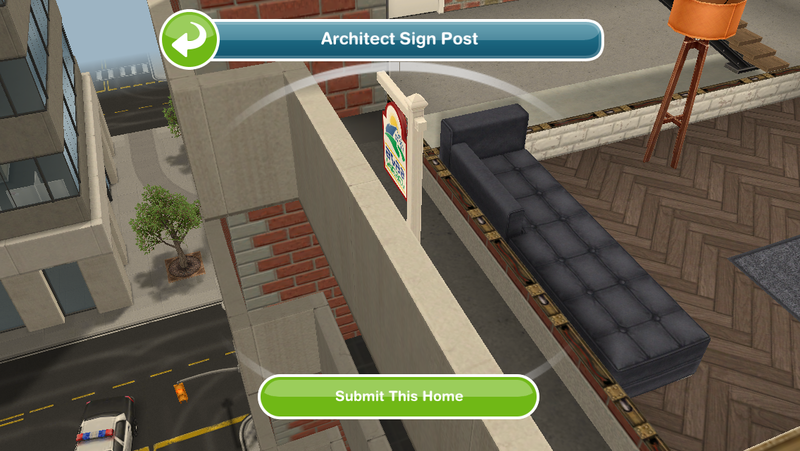 With the police update, the architect homes tab has disappeared… is it gone for good? 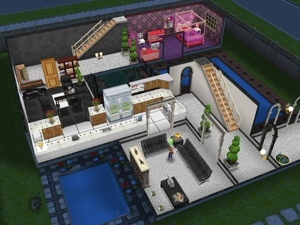 Currently you will be unable to get the spa items unless you built an architect house that has them in but they may bring this event back again one day! Can u help? I submitted my homes and my town worth went to zero when I was almost at 9million. Do you know how to fix this problem? You will need to contact EA about this issue to see if they can fix this for you as I am unable to fix technical issues. 1. when will this quest end? 2. my pool was too dirty that the message “action failed” keep popping up even after i pressed ok. how do i fix this? 2. 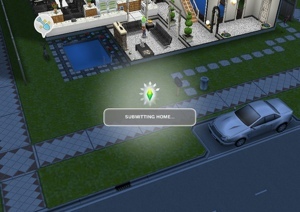 Your sims need to clean the pool to be able to use it. I have no idea, sorry! Mine have never been picked so obviously they aren’t good enough! 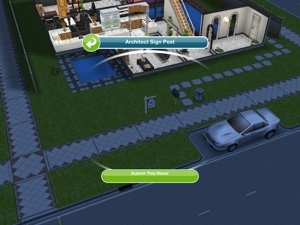 I’ve done everything right in the extreme home takeover quest but the sign will not bring up any options to submit a house whenever I click on it. I’ve bought 3 items from the home goods store and still nothing is happening. Have you completed all the other goals in the quest? You said you brought 3 items but did it actually complete that goal? If you have no empty plots to build a new house you will not be able to see the architect tab as it appears when you click to build a new house. I accidentaly submit my house. Do you have any idea how to stop or cancel it ?. You cannot cancel it once you have submitted it. I completely agree! They are really poor houses! I saw one the other day which was just the medieval castle but cost 9LPs more! I have no idea how they pick these but I don’t think they hand select them, a computer probably just picks them and no one checks how awful they are before adding them to the game! Can you submit as many houses as you would like? I wonder how often they will change the houses in architect house tab? I guess they change them when they get around to picking new ones, there doesn’t seem to be a set amount of time. I swear the architect homes are getting worse (if that’s even possible!). I just saw one that was just the player designed house with a couple of bits of furniture moved around, but now it costs 10 times as much!!! how they could think anyone is gong to fall for this idk!! such a good idea ruined by stuuuuupid execution (having bots randomly select the houses or whatever they do). I saw that one too but I have seen one much worse- it was the medieval castle with absolutely no changes to it whatsoever but it costed about 10LPs more! Ridiculous! I’ve never seen a home on there I would even want to build lol. (no offense haha) like for the prices of them you could buy an empty lot and build it from scratch, making it unique and added your own touches. Building homes from scratch is so fun anyways lol. But yeah I think they must not “hand select” the homes on there because I’m 1,000,000% sure that better ones have been submitted :p like this beauty of yours. If I submit my house can I still use it ? What a beautiful house! I, too, submitted a house. I hope both of our houses are featured! Do I get paid if people baught my house? 😃 Cause that’d be awesome. I can’t find the architect tab- I want to build a house, but when I click on new lots, it just shows the regular houses. How do I get it back? So you had it before? Sometimes it disappears for a while, keep checking back as it should reappear! This happens sometimes, just keep checking back as it should return soon! Sorry but once the houses change you cannot get the old ones back, lets hope you will find one you like even more! I have the architect tab but only two houses show and I’m pretty sure there are supposed to be more houses. Is this right? I get the message that new houses have been loaded but only see two. Any solution? You will probably just have to wait until they change the houses, they change them usually every month so hopefully next time you will have more available! If you win, do you get paid when people buy your house design? The houses do change often so they may have just changed to a new batch, you cannot get an old house back but if you just keep checking back you may find one you like better in a future set! Hi! I just want to ask something. Does the price of these architect houses vary depending on how many houses you’ve built? Like, the more houses you’ve built, the higher the costs of the architect homes? Or are their prices fixed? The currently most expensive one in my Archt Tab right now is 4M and in the last batch it was 5M. Btw, your blog is freaking awesome. 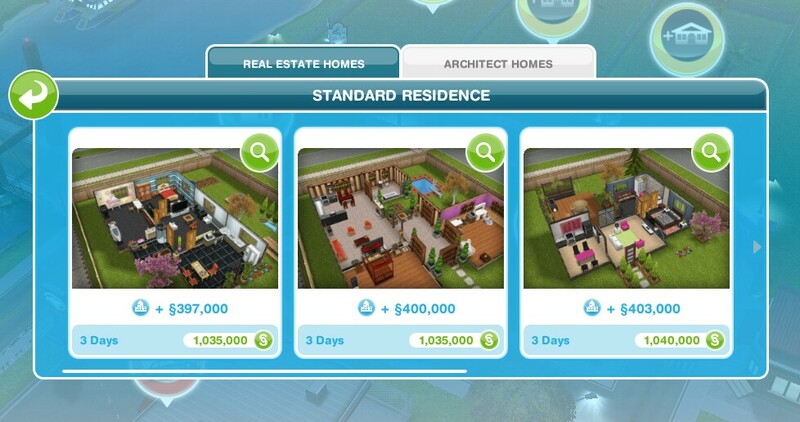 The cost does depend on how many other houses you have already built but the prices do change when they change the houses so the most expensive one in the next batch could be cheaper than the previous. It usually returned after a day or so, just keep checking back. So I wanna buy an architect home worth almost 2Mill, but I just wanna buy it to steal the furniture no stuff. Can I do that? Or will it be lost once I put it in the inventory?? You want to buy the house, store all the furniture then delete the house? Yes you can do that, they will stay in your inventory! Does the home you submit have to be built from scratch or can it be an existing floor plan like the Beachside Escape that’s simply been renovated? It is best to build from scratch but if you use an existing floor plan and completely change it then that would still work, you just cannot use anything that is already featured or not your own work so you can’t just submit the beachside escape as your own if you haven’t changed it. There is some furniture I see in the Architect homes that I can’t find in the home store. How do I find this furniture? What is the furniture? Some may be unlocked from completing a limited time event or quest so if you didn’t complete it yourself you wouldn’t have those items. When we are building a home,I thought that there was a special thing that made us build and decorate the house as we wanted for free and than sumbit for it to be chosen,I think that makes much more sense than us spending all that money building a house and than waiting for it to be chosen and not getting any money for it at the end.I wish they would give a reward for that at least otherwise what’s the point in spending so much.I hope it makes sense. I’ve noticed that architect homes changes from time to time. How long do they last? 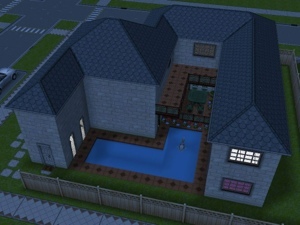 There’s this home that I really wanted, but at the moment, I don’t have enough simoleons to purchase it. They usually change every two weeks. If someone buys your house in the architect tab do you get that money?